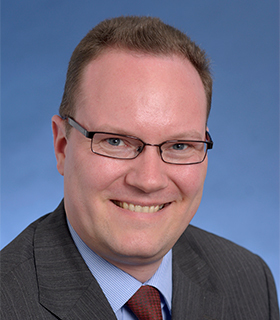 Hans-Dieter Holtzmann has been named chief country officer and head of global transaction banking for Deutsche Bank, Vietnam. Holtzmann has been with Deutsche Bank for more than 20 years, most recently as head of public sector for Germany. In this role he covered federal, state and municipal-level clients. Before this, he was an economic advisor to former German chancellor Helmut Kohl. He now reports to Werner Steinemueller, Asia Pacific head of Deutsche and Kaushik Shaparia, head of global subsidiary coverage for foreign exchange and corporate cash management in Asia. The bank has been in Vietnam since 1992 and employs 70 staff. Holtzmann will be responsible for leading and growing Deutsche Bank’s business there, including “cash management, trade finance and securities services, servicing both global and local clients”, Shaparia says. Steinemueller adds that Vietnam is “one of our key markets in Southeast Asia” and that “last year we significantly increased our capital base in this market”. “Our Vietnam franchise has shown profitable growth and we are excited about the country’s outlook,” he says. The last few years have been a period of relative flux for Deutsche Bank’s Asia transaction banking business. In November 2017, the bank lost Lisa Robins as head of global transaction banking for Asia Pacific. Robins joined Standard Chartered in a similar role two months later. In July of that year, Shivkumar Seerapu left his role as regional head of transaction banking fro the region, to join Lloyds Bank. He was replaced by Atul Jain in a newly-created role, head of trade finance and trade flow, Asia Pacific, reporting to global head of trade finance, Daniel Schmand.